We’re constantly fascinated by the variety of places, settings and musical styles in which we find Live, Push and other music technologies being put to interesting use. With the new ‘Sounds In Context’ series of articles, we aim to learn about the specific local contexts and musical histories that music-makers around the world emerge from and are engaged with. Meridian Brothers from Bogota, Colombia began as composer Eblis Alvarez’ solo project but quickly evolved into a potent live combo that melds a huge palette of influences and inspirations. 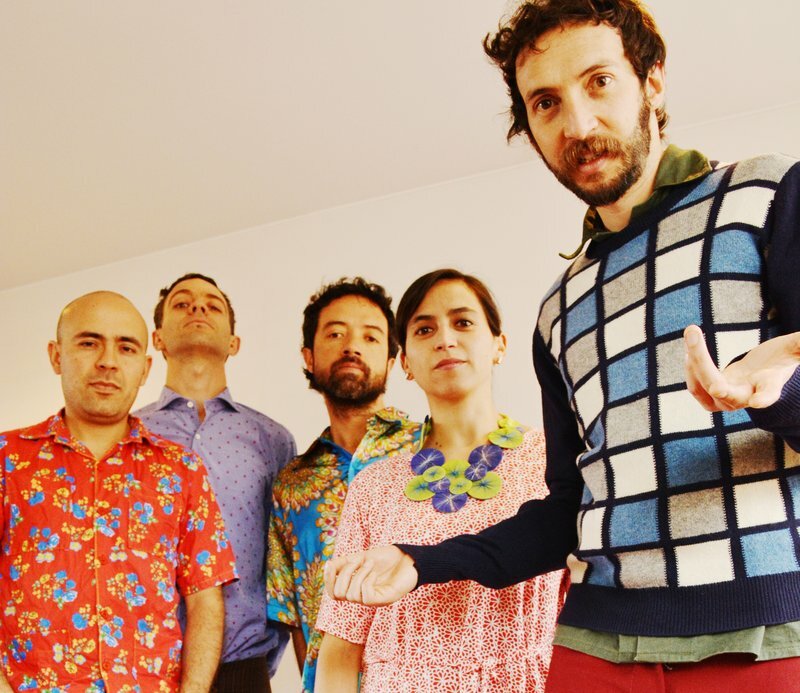 On stage and in recordings, the band take elements of cumbia, surf music, Latin-American folk, sampling techniques, vocal manipulation and Max/MSP wizardry and artfully arrange them on top of a rock steady, intensely hypnotic rhythm foundation. 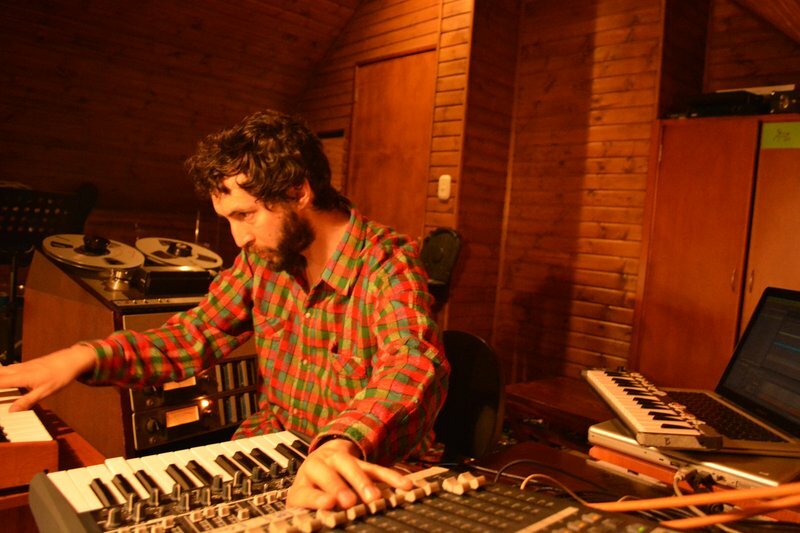 With each Meridian Brothers release staking out new thematic territory, we spoke to Alvarez about the specific influences for the new album, ‘Los Suicidas’, as well as the state of experimental music in Colombia, and the role of the Hammond organ in Latin America. What was your musical upbringing like and how did Meridian Brothers start? I was educated as a classical guitarist and I studied composition. Later I specialized in electronic and electroacoustic music, and in recent years I've been involved in the new Colombian music movement as a producer, teacher and musician. I formed Meridian Brothers around 1998 as a solo project. I begun recording on cassettes overdubbing myself with several instruments in a kind of experimental pop style. After a while I begun to experiment with traditional music from Colombia, changing the style and guiding it towards Latin influences such as Caribbean music and styles of the interior of the country. Since this beginning I’ve worked alone in the studio and then put together the music for the live situation with the band. The group consist of María Valencia (sax, percussion, clarinet), Alejandro Forero (keyboards and electronics), César Quevedo (bass), Damián Ponce de León (drums) and Juan Camilo Montañez / Mauricio Baez as sound technicians. For me these are two different languages, the live set and the studio set. So far with Meridian Brothers I've released six studio albums, a compilation and three singles and we've done several tours around Europe, U.S and Latin America. Your latest record ‘Los Suicidas’ draws on a very specific musical history. Can you explain? It's a project dedicated to the organ. I was inspired by the ambient Hammond organists in Latin America, a style that developed in parallel to easy listening music genres in 60’s & 70’s. Organists from Colombia, Ecuador, Mexico, Panamá and Brazil developed a remarkable style performing with backing bands that played traditional instruments, with the organ as the central instrument – in some cases achieving really beautiful results. A sub-genre of organ cumbia was created also. This music is still played at some of the "sonideros" parties in Mexico and is very popular in Ecuador. Starting from some of these records, I decided to investigate this style, using the timbre of the organ, but developing the style further and turning it into a kind of "impossible organ" music – a kind of un-easy listening. I used the same background instrumentation as was used in some of the tunes I was inspired by: double bass pizzicato, jazz-like drums and the organ (using software and hardware synthesizers). Occasionally, I also used drum machines and other electronic sounds. Because it's very difficult to play it on the organ alone, I used the sequencing capabilities of Ableton Live and Max for Live in order to achieve this "impossible" sound I wanted. The record features some very intricate rhythms, how did you go about programming them? Each organ voice goes on one track. The idea behind this is to simulate a three-manual organ. However, each of the manuals is actually a different synthesizer / sound, so each track sends MIDI to a different software or hardware synthesizer. I use a Dave Smith Mopho x4 analog synthesizer, a Nord Lead Synthesizer, an MFB analog monophonic Synthesizer and other synths, programmed in Max/MSP. All the instruments are sequenced and performed in Live. The different parts are all polyrhythms. This is an interest I’ve had for some years, and I often compose melodies at different speeds and time signatures, but related to a master tempo. This effect actually divides the perception of the music, giving it an unusual effect, like something familiar but moving faster or slower than expected. Some of the melodies are played, some others are programmed (the very difficult ones!). For these I made a sketch of the composition in MIDI (via Sibelius) and then completed everything, playing and recording in Live. Why did you choose mostly acoustic percussion sounds? The idea behind this album came out after I bought an old vinyl album by Jaime Llano González, a Colombian organist, playing traditional Colombian music on the Hammond organ. After some research I found that there's a whole school of ambient music organist through Latin America. I can name Juancho Vargas (Colombia), Tulio Enrique León (Venezuela), Francisco "Pacho" Zapata (Colombia), Avelino Muñoz (Panamá), Juan Torres Robles (México), among others. The format these organists usually use is a small traditional percussion or drums, bass (acoustic most of the times) and the Hammond organ. I decided to follow this idea by playing a jazz-like drum set, some other percussion – both electronic and acoustic, and a cello, to make the bass parts in pizzicato. All in order to imitate this sound which seems is very particular and interesting to me. What is the significance of the title ‘Los Suicidas’? Actually, Los Suicidas is a tequila brand made up (I think) by writer Roberto Bolaño. It's a very strong tequila, and it appeared in a part of the book "Los detectives salvajes" [“The Savage Detectives”]. The passage describes a reunion of three guys, talking about poetry and drinking. I took the name of the album from it. What is the music scene like that Meridian Brothers are part of in Bogotá, Colombia? The Bogotan scene is very active. Lots of parties, artists, collaborations. There's a growing crowd, mostly made up of young people in their 20s following what's going on in the underground scene. Which turns to be much more interesting than the mainstream that actually lacks depth in a number of fields (press, production and media). The underground, although small, has a very active network of journalists, diggers, DJs, musicians. One hallmark of the scene in Bogotá is the combination of modern instruments and formats with all sorts of traditional languages. There are also a lot of researchers, recording traditional sounds never heard before, or hidden away, so everyone gets to know a lot of music if one follows the busy schedule of releases. Experimental music is becoming a solid language and also popular for some audiences. This doesn't mean that it’s immediately accessible though. I guess people new to this movement have to tune their ears. Keep up with Meridian Brothers on their website and on Soundcloud.